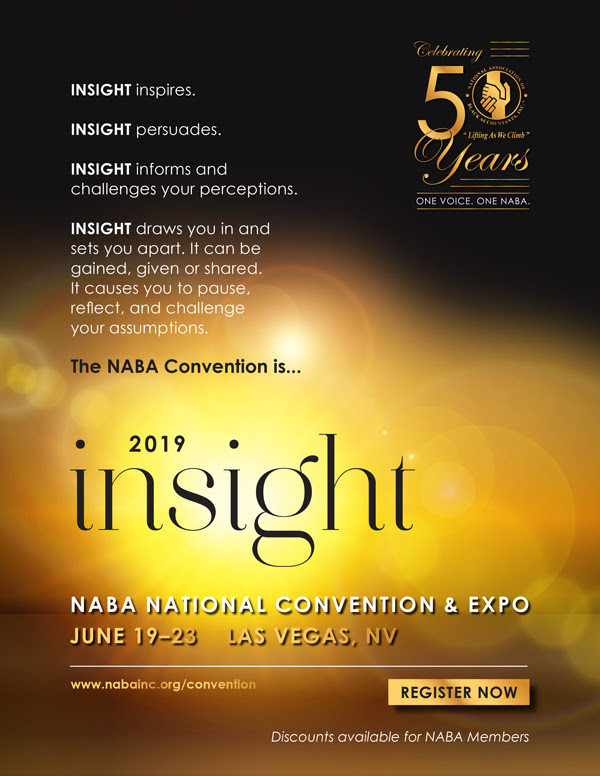 NABA Convention Registration site is open! Appetizers & drinks on us! 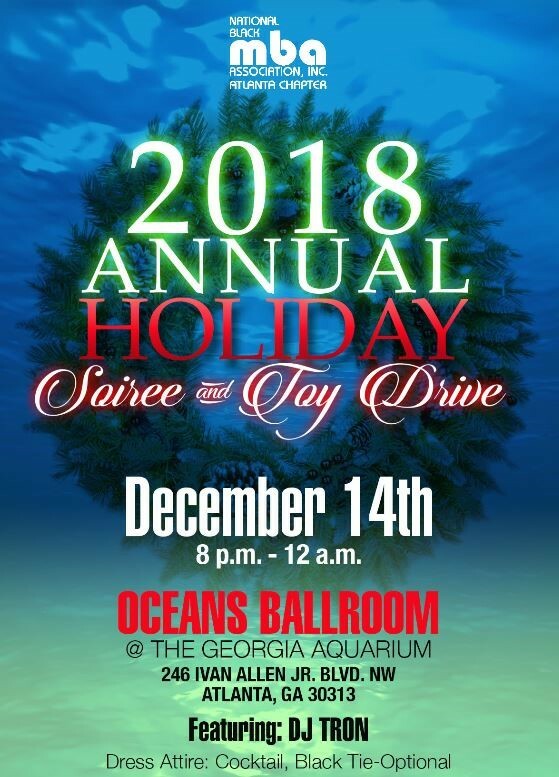 2018 Annual Holiday Soiree | Don't Wait, Get Your Tickets Today! Want to take advantage of the member discount? 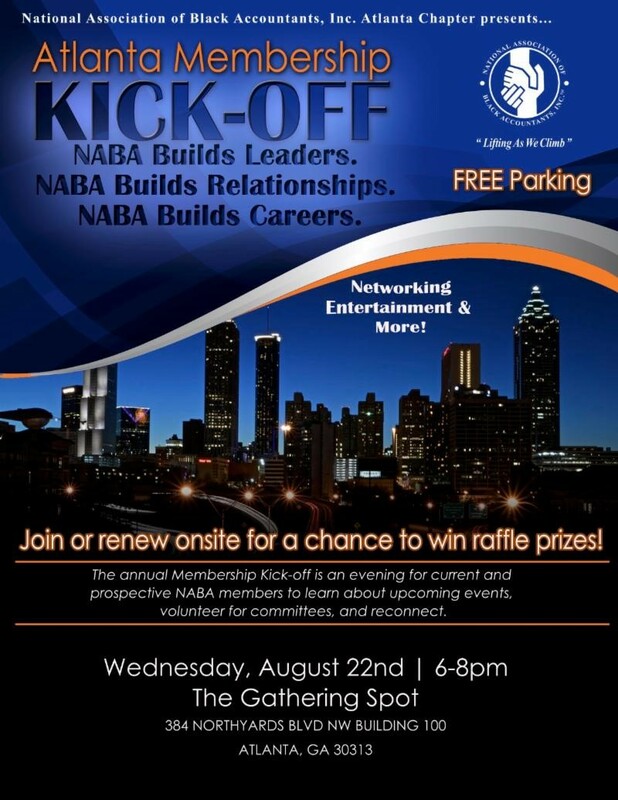 Join or renew your NABA membership today!! Blind spots... Your brain on autopilot. Our brains are wired to make assumptions, which can sometimes be off base. Most times, we think it’s an honest mistake - science calls it a blind spot. Experts say that we all have blind spots, which can lead to snap judgments. Interested in learning more? Join us for a candid discussion about unconscious bias at the PwC Atlanta office on Wednesday, November 14. To take our dialogue to the next level and to maximize impact, please consider bringing a guest in your network (a mentor, a supervisor, a peer, etc - those who identify as minority or non-minority) who may also benefit from this conversation. Come hungry! Food and drinks will be provided! RSVP by Monday, November 12th to secure your spot. Join us as we kick-off the new year for the NABA Atlanta Chapter. 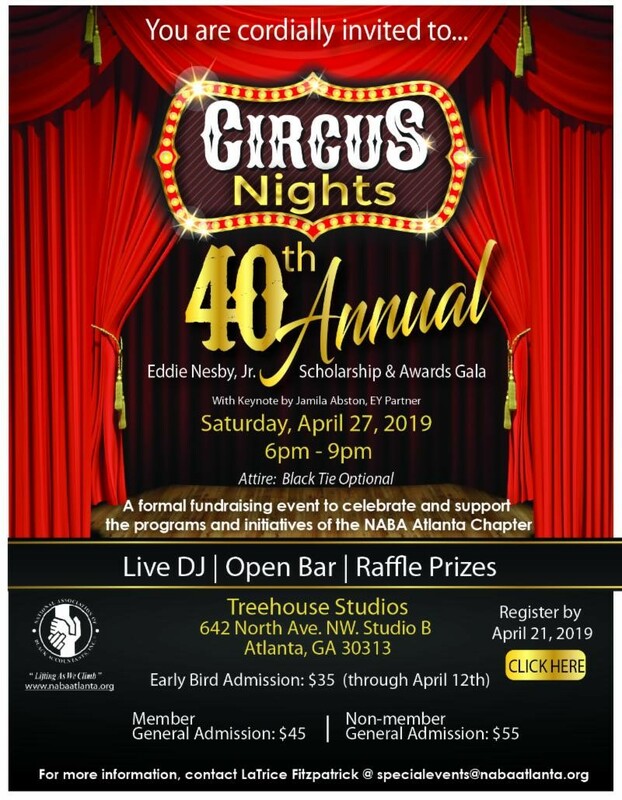 We invite you to an evening of fun, networking, and entertainment. Those who join the Chapter or renew their membership onsite will have the opportunity to win raffle prizes! Don't miss out, click the link below to register! Men of NABA Panel Discussion "The Role of Men in Modern Society"
Leaders, Providers, Protectors & Teachers have been the role of men since the beginning of time. 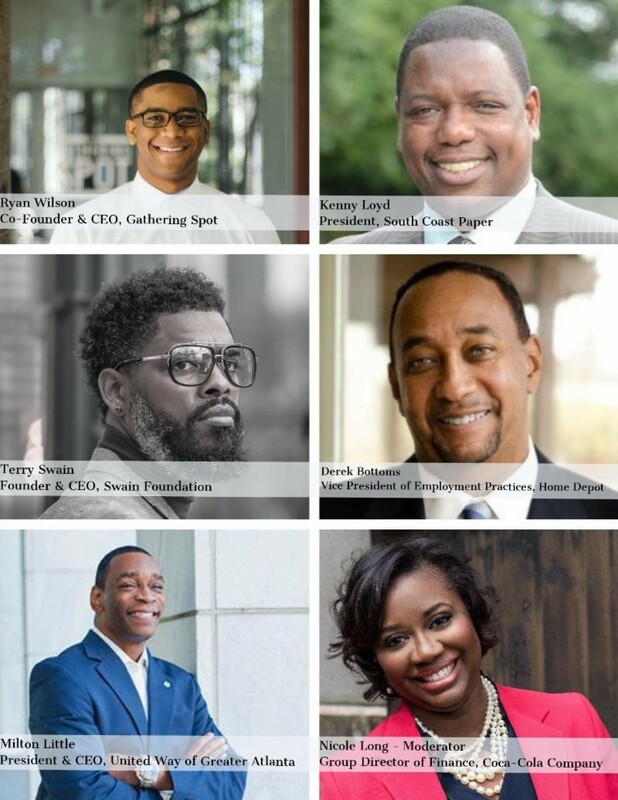 Come join us for a panel discussion with various influencers and thought leaders who will talk about the role of men in modern society as it relates to the workplace, the community and in our families. 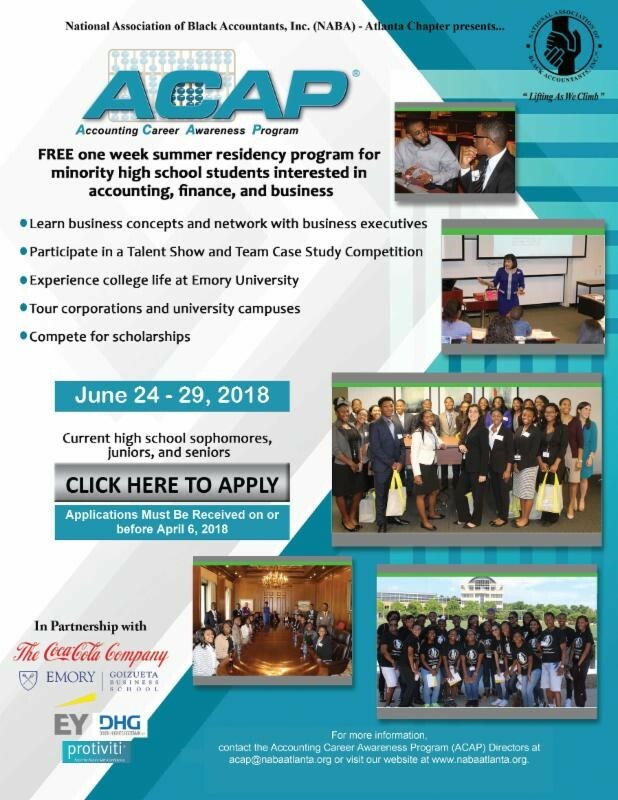 The National Association of Black Accountants, Inc. (NABA) – Atlanta Chapter will host the Accounting Career Awareness Program (“ACAP” or the “Program”) in June 2018. 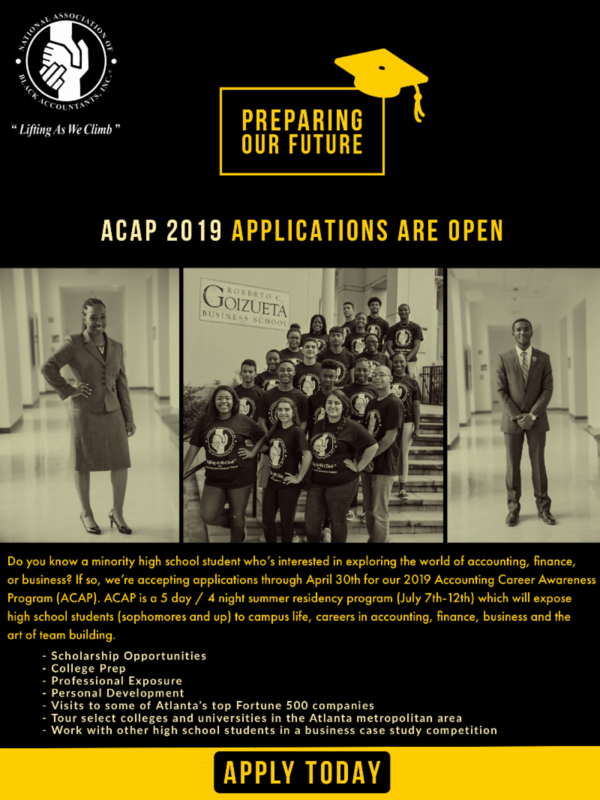 Please email acap@nabaatlanta.org with any questions. Take advantage of your chance to speak with key decision makers from over 50 top companies during the NABA Career Expo. Leverage this rare opportunity to promote yourself as a high-quality professional. ﻿Guarantee your shot to meet face-to-face with recruiters looking for the best and brightest! Join us for an amazing panel discussion with senior and partner level accounting professionals who will answer the question, Why Stay? 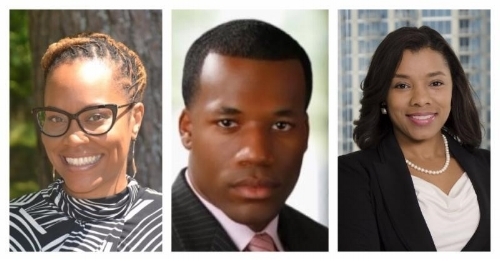 The NABA in Public panel will provide a safe space for public accounting professionals to voice real concerns and receive tangible advice on how to navigate busy seasons, extensive travel, family, and home life. 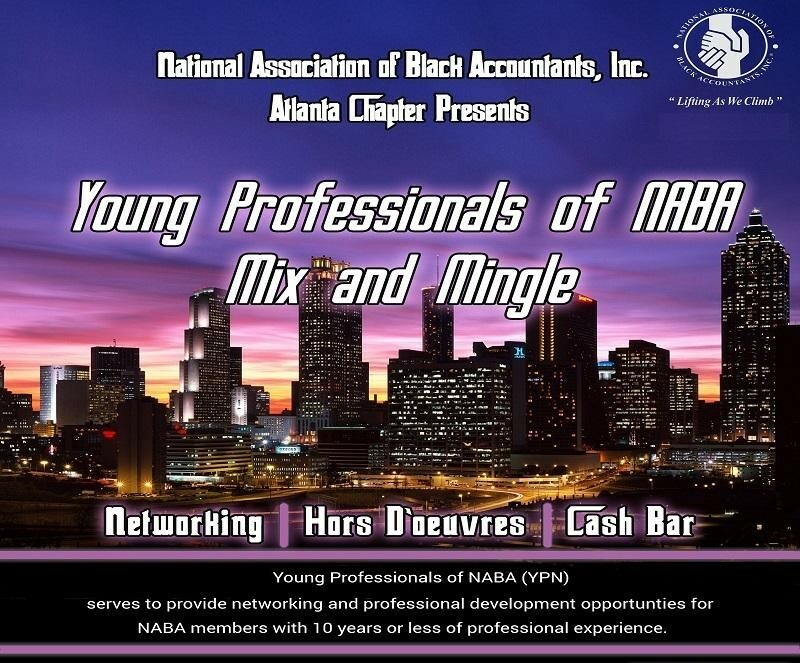 Join Young Professionals of NABA (YPN) for a special networking event sponsored by Coca-Cola. You've probably heard of speed dating, but how about "speed networking"? Come out to meet and connect with other young, like-minded professionals while honing in on those networking skills! 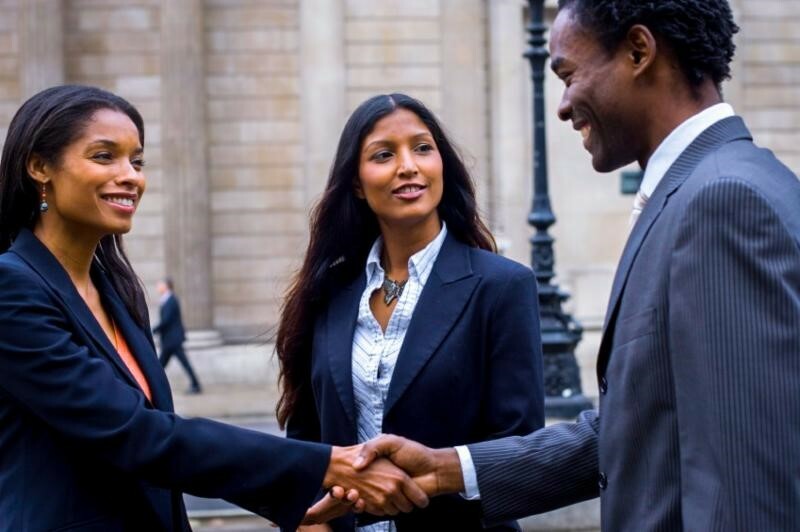 Young Professionals of NABA (YPN) serves to provide networking and professional development opportunities for NABA members with 10 years or less of professional experience. JA BizTown Looking ahead, our students will lead our businesses, advance our communities and discover breakthroughs. Today, we give them the opportunity to experience these possibilities. 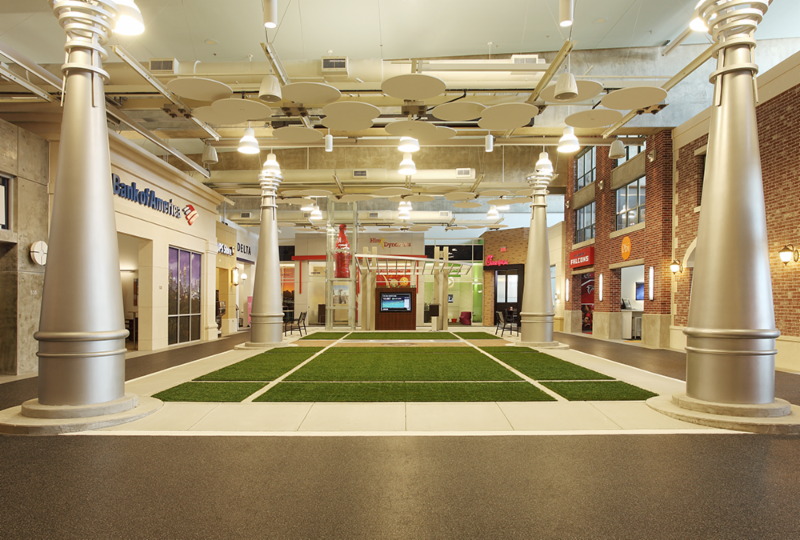 JA BizTown creates an unmatched experience where students are able to interact within a simulated economy and take on the role of citizen, consumer and employee. Here, students not only discover the intricacies of being a professional and member of the community, but also discover the abundance of opportunities available within their city. Volunteer Role: You will share your life experiences to coach a small group of students through their day to help bring the simulation to life. In JA BizTown, you'll guide students as they make decisions around running their business, spending their hard-earned paycheck, and generating a profit. You will help them discover the value of themselves, their education, and their future beyond the classroom walls. No matter your profession, your life experiences qualify you to be a successful volunteer! Do You Enjoy Giving Back? 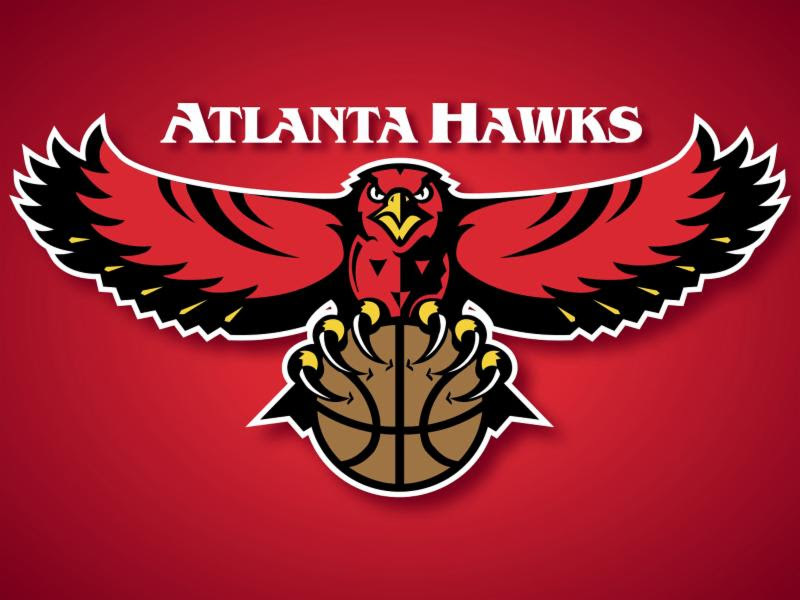 NABA Atlanta is seeking volunteers for the VITA program. 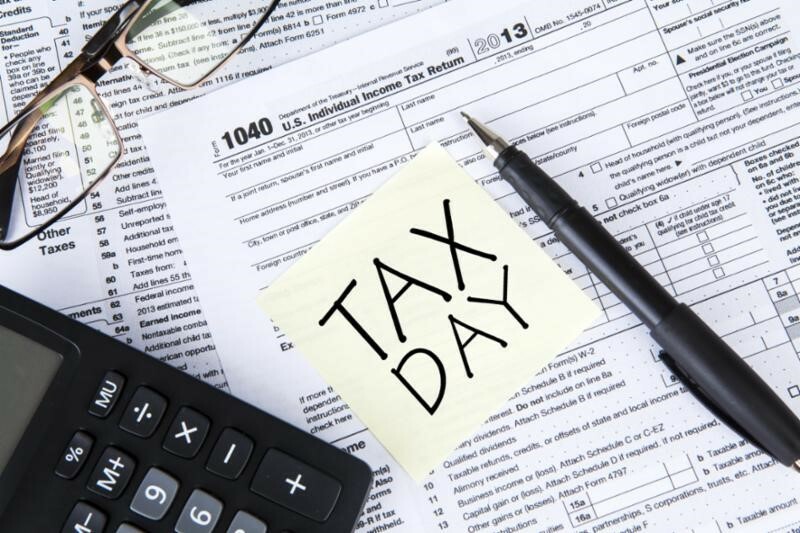 Under this program, volunteers provide tax preparation services to low-income families at The Mall West End on Saturday's from 9:00 a.m. to 2:00 p.m during tax season (January 27th - April 14, 2018). Volunteers are able to sign-up for shifts at their discretion. The Mall West End is located at 850 Oak Street, Atlanta GA 30310. Great! Click here to email our Community Affairs team for more information. Please use subject line "VITA Volunteer" Upon receipt of your email you will receive additional information including required training links. 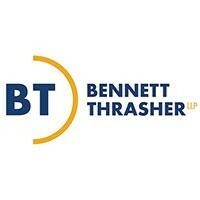 Join NABA Atlanta for our January General Body Meeting hosted by Bennett Thrasher, LLP. We will be discussing a variety of unique tax topics including the latest tax reform bill. Is It Worth It? 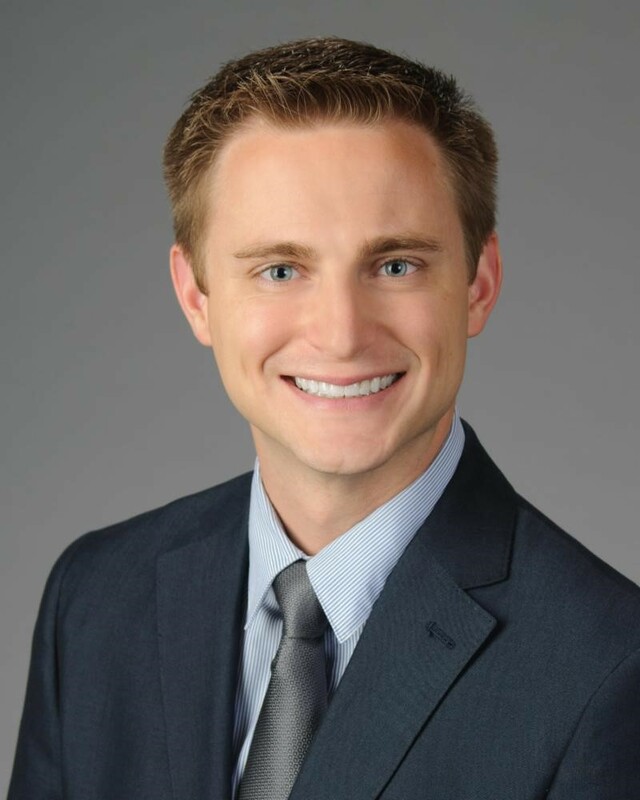 "Uncovering the real value of the CPA at any point in your career." 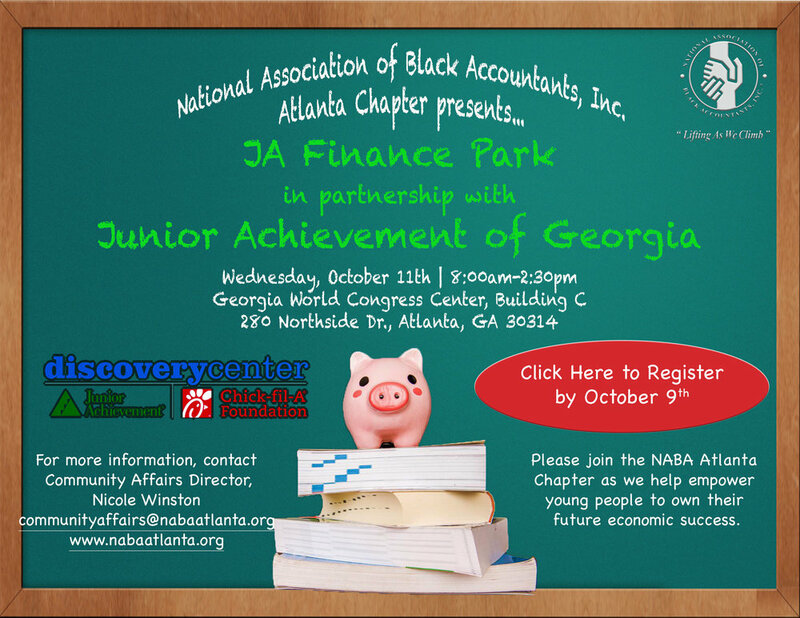 Join NABA Atlanta for our November General Body Meeting hosted by Carter and Company. 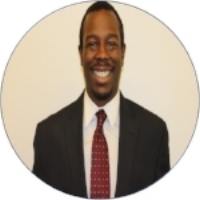 We will be discussing the value you earned by obtaining your CPA. 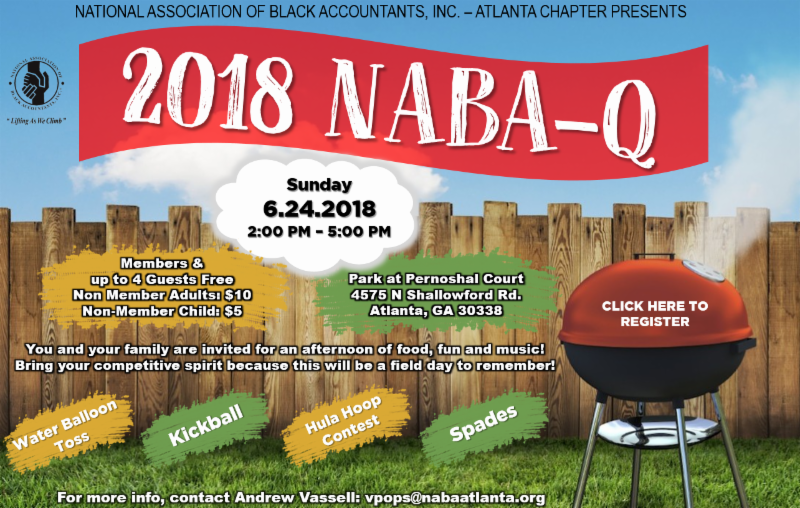 Volunteer with the NABA - Atlanta Community Affairs Committee Today! Since 1927, The Empty Stocking Fund brings the spirit of Christmas to thousands of children throughout the metro Atlanta each year. 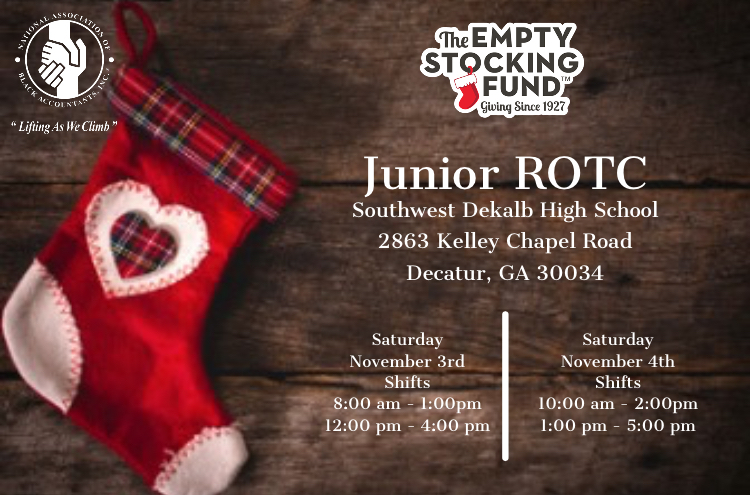 The Empty Stocking Fund empowers metro Atlanta parents and guardians of children living in poverty by providing them with an opportunity to give their children gifts at Christmas time. Through relationships with wholesale distributors, The Empty Stocking Fund purchases brand new items in sufficient quantities to offer a variety of age- and gender-appropriate choices. In December, we invite qualified parents and guardians of children up to 12 years old to visit Santa's Village and select gifts for their children. The Empty Stocking Fund only has two full-time employees. Without the generous support of our sponsors, individual donors and volunteers, none of this would be possible. There are several ways to support The Empty Stocking Fund's fundraising efforts and all donations are tax deductible. 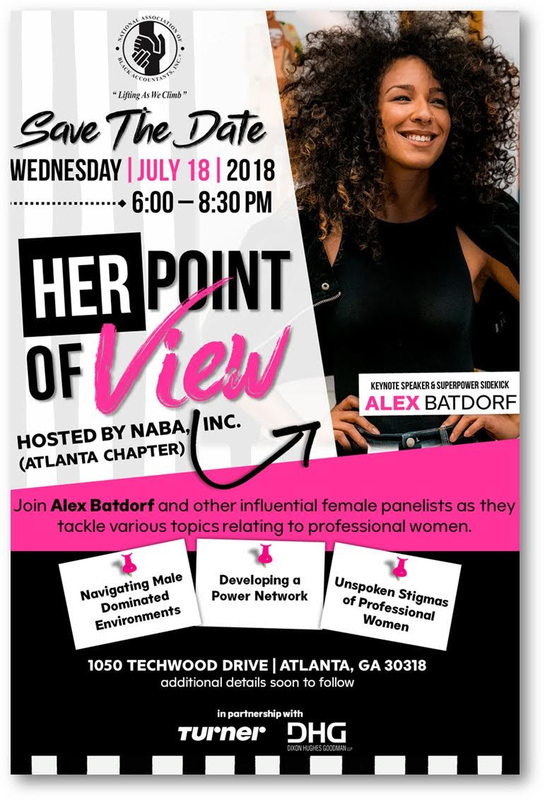 Calling all Young Professionals of NABA (YPN)!!!! We're having a mix & mingle and we want you to be our guests of honor. Don't miss out! 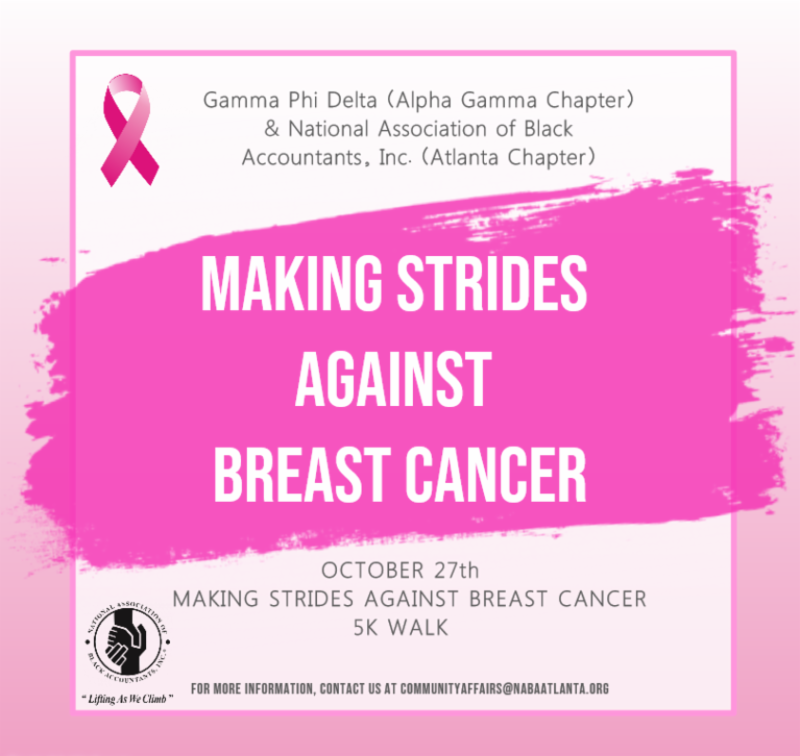 Click HERE by October 3rd to register! You will mentor and guide students through their day to help to create a more authentic simulation. Volunteers provide those "ah ha" moments daily as they help students discover the value of themselves, their education, and their future beyond the classroom. You will guide a small group of students, helping them make the connection between their education to career, career to income, and ultimately their income to lifestyle. No matter your profession, your life experiences qualify you to be a successful volunteer! Click HERE by October 9th to volunteer! There are various scenarios that present themselves where you'll find the need to be quick on your feet, articulate in your speech, and precise in your response to effectively get you point across. Do you struggle in these scenarios? Join us for an interactive workshop on "What to Say and When". Join us as we kick-off the new year for the NABA Atlanta Chapter. We invite you to an evening of fun, networking, and entertainment. Those who join the Chapter or renew their membership onsite will have the opportunity to win raffle prizes! Free professional headshots will also be offered onsite. Don't miss out, click the link below to register! 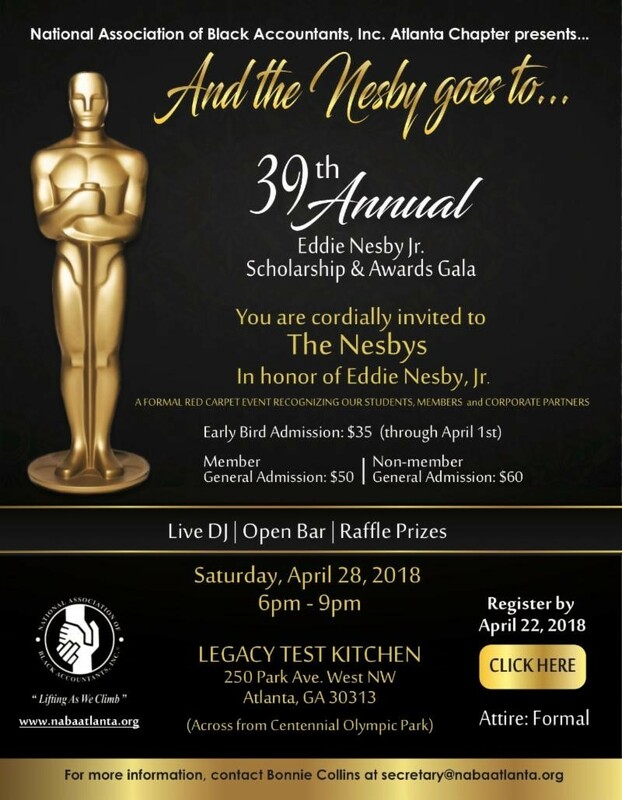 For more information, please contact the Membership Director Jacquelyn Smith at membership@nabaatlanta.org. Don't miss the next session in our Executive Breakfast Series on August 4th, in partnership with Chik-fil-A and Protiviti. Do you have an executive presence? Do you display emotional intelligence? Are you aware of unconscious biases? Join us for a candid discussion on how these intangibles can help or hinder your success! It's the Red Carpet Event of the YEAR! Buy your tickets today by clicking the link below.